The truth about hard water in Wesley Chapel, FL? What Wesley Chapel, FL residents need know about hard water, what you see in your kitchen, fixtures, shower and appliances are the effects of hard water and harsh chemicals in the water supply, think about what you can't see. Look at your dishes, the stains on cups, glasses, silverware and plates! You have really hard water in your Wesley Chapel home! Hard water does not allow the cleaning agents to work effectively because of the mineral and chemical content in the water. 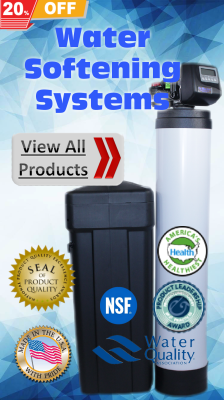 The solution is a SPWTS high efficiency 4 in 1 water softener system! Why is a water softener important to your family and property in Wesley Chapel? Does all water softeners really do the same? The Simple Anwser in NO! A great water softener will soften your water by removing (calcium and magnesium), eliminate harsh chemicals like (chlorine, fluoride and amonia) and reduce heavy metals such as (lead, mercury and iron) from the water source so that the water that does come out of your water faucet is clean, the result is water that is contaminat free that promotes healthy living for your family while protecting your property. Call Simply Pure Water Treatment Wesley Chapel, FL today. 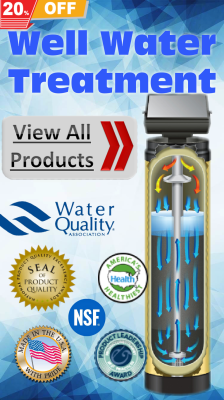 We can show you how a SPWTS water softening can benefit you in yourhome. Like to have the best water quality for your family? Simply Pure Water Treatment Systems is your best choice for Water Softeners, Water Purification & WaterTreatment Systems in the Wesley Chapel, FL area. Call us Today at 813-442-3846 or Email us now by filling out the form below.